Hong Kong: On a clear day…. Doesn’t it always happen like this? You visit a new place and weather conditions are such that you can’t see more than a few buildings down the road. Then, on the last day, everything is beautiful and clear. On both my visits, I could barely see the harbor from the hotel window. Today, I could see the hills on the far side. At least I have this great shot! Hong Kong has been a great experience and I am grateful to the Jewish Community Center events committee for making it happen. Mira, Tara, Erica, Howard and everyone else were most gracious and very kind. This trip afforded many opportunities to talk genealogy with so many diverse individuals and I hope that they may go on searching their own ancestry, whatever it might be. My visit to Australia was a dream come true as well. Ziva and Sam Fain were very caring hosts and it was hard to tear myself away from them (and the two dogs); the conference was excellent and I thank everyone on the committee who made it possible. Meeting my Melbourne cousins from Bobruisk (Alex, Jenny, Nelly, Leon, Fleur) was a wonderful experience, and my Sydney cousins Bob and Di were delightful, as usual. Meeting up with geneablogging colleague Randy Seaver and his wife just added to the overall good memories of Sydney. That’s Randy and me on beautiful Manley Beach (right). It was a great pleasure making in-person connections with gen colleagues Kerry Farmer and Carole Riley in Sydney, and finally meeting Linde Wolters, a member of MyHeritage.com’s farflung family. I will always remember the great people I met on this trip, talking genealogy in two countries and with fellow passengers. I’d like to travel there again for the Hong Kong Jewish Film Festival in November. We’ll see! For now, it is back to Tel Aviv tonight, attempt to get ready for Pesach, and to catch up on a huge pile of work for upcoming conferences and other events. Tracing the Tribe wishes a Happy Pesach to all readers who celebrate this special holiday. Are you a first-timer planning to attend a genealogy conference? If so, don’t miss this free expert webinar on Saturday, March 27. Participating in a large-scale event can be overwhelming if you don’t know what to expect or what to do. Whether you’ll be attending the Southern California Jamboree, the IAJGS International Conference on Jewish Genealogy, or any other gen conference, learn how to get the most out of such an event. After all, you’re making an investment of your time and money! George C. Morgan of The Genealogy Guys Podcast will present a free webinar to help you get the most out of any genealogy conference – one of the best ways to enhance your research skills, learn new techniques, resources and strategies for finding ancestors. It may even provide new ideas to those who have attended conferences in the past. — Encouraging cousins to attend. George will also provide activity suggestions once your at the conference: meeting other attendees, arranging one-on-one time with favorite speakers, and how to work exhibit hal vendors to gather new information. The original broadcast of the March 27 webinar is limited to 100 “live” attendees, but the program will be available for download or viewing anytime at the Southern California Genealogical Society. “How to Get the Most out of a Genealogy Conference” is set for Saturday, March 27, from 10-11am PDT. Register here. After registration, you’ll receive a confirmation email with detailed information on how to participate. Ron Arons was surprised to learn that his great-grandfather had done time in Sing Sing Prison. Maybe there’s more to your own family history than you know! Search the Sing Sing Jewish Inmate Database for what might surprise you. His first book, “The Jews of Sing Sing,” was a resounding success, and his new book, “Wanted! US Criminal Records,” should be just as successful. The 380-page book covers 50 states and the District of Columbia, federal records (state by state), where to find prison records, parole, execution, a short primer on considerations for criminal research. Ron’s years of experience have certainly contributed to this new field of genealogy. While Ron says the price ($49.99) might shock some people, he believes that if he can save anyone even one hour in their search for information, the price is justified. “I think I can save people hours and hours of time,” he added, during a phone call when we discussed the new book. The book should be of interest to professional genealogists, libraries, social sciences, true crime, mystery writers – in short, anyone who wants to research criminals for many reasons. “Wanted! 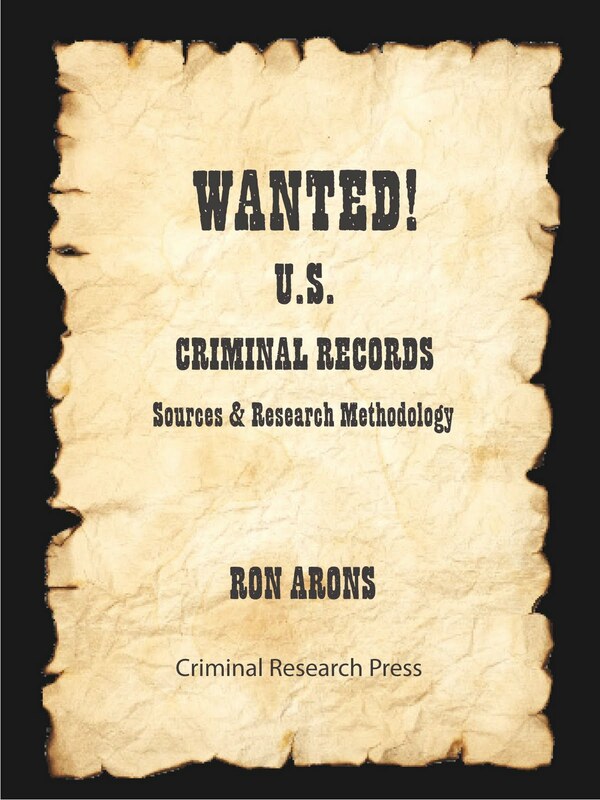 U.S. Criminal Records Sources & Research Methodology” seems to be a one-step reference for information sources about criminals from America’s past. It lists archives, libraries, courts and online sites containing numerous sets of criminal information, such as prison records, criminal court records, parole records, pardon records, execution information and more. There are also examples of documents in repositories and how to conduct genealogical research on criminals. The new book is for sale on his website. Go to STORE and scroll down to the book ($49.99, including $5 S&H, but not taxes). Ron will also be speaking at various venues across the country, such as Jamboree 2010. In March, he’ll appear March 15 at the New England Historic Genealogical Society (NEHGS) in Boston and March 16 at the New York Public Library (NYPL). See his website for his current list of appearances. How do genealogists stay on top of the field? How do we learn what we need to learn? It’s important to know how to access resources providing the information we require. As a genealogy blogger – excuse me, geneablogger – I feel that everyone can find information in our myriad blogs. Each of us have particular niche interests and if we follow those specialized blogs (or write them! ), all will be revealed. Well, a good part of it, anyway. What else is out there? Here are some resources to ponder. We need to know about new genealogy books, magazines and online resources. These resources may be in the collections of our local genealogical or historical societies or libraries. Roots Television and YouTube are good sources for gen videos online. Our libraries also offer videos, DVDs and free online access to sometimes pricey databases. For Jewish genealogists, the annual IAJGS conference on international Jewish genealogy is a must (July 11-16, 2010 – Los Angeles), JGSLA 2010. This year’s location in Los Angeles and hosted by the Jewish Genealogical Society of Los Angeles, ensures creativity in programming and activities. It is the only annual event where worldwide researchers of all skill levels, archivists and experts come together for nearly six days of high-powered events running from early morning to late at night. Subscribe to the conference newsletter and blog. Local regional conferences, such as the Southern California Genealogical Society’s Jamboree 2010 (June 11-13, 2010 – Burbank), are excellent learning opportunities. Jamboree attracted some 1,500 attendees last year and will likely exceed that number this year. It is the crown in the jewel of local/regional conferences. Hundreds of proposals submitted for a limited number of presentation slots indicate that it is a coveted conference for major speakers. Subscribe to the conference blog. Want to learn something genealogical (many diverse topics) via an information-packed short-term practical course? Why not try GenClass.com? For close-to-home help, get involved with your local genealogical society. Attend monthly programs, mini-workshops or conferences. Utilize their reference libraries available and the skills of society experts. There’s a lot of help out there for those who are beginning researchers, or for more advanced people who want to learn something new or brush up on a new skill. As we journey down discovery road, the highway takes various twists and turns. A new branch may mean we need more information in another country, ethnicity or religion. Don’t get lost on the road. Stay sharp, stay focused and ask for directions. There is no shame in asking for directions and assistance. We were once all beginners and were helped by others who knew more than we did. There are so many resources to provide help for whatever topic you require. Make sure to utilize everything you possibly can for the most successful experience in tracking your ancestors. Some very familiar faces – from New Hampshire, Florida, Utah, New York and Israel – were among the 17 individuals recently elected to the Association of Professional Genealogists board. Laura G. Prescott of Brookline, New Hampshire was elected president. Andrew M. “Drew” Smith of Odessa, Florida, was elected secretary. Drew is the Florida Genealogical Society of Tampa president, and co-hosts (with George Morgan), the Genealogy Guys Podcast. West Region: Suzanne Russo Adams AG of Utah, is a specialist in Italian research and employee of Ancestry.com. I’ve known Suzanne for what seems like years and she was my host when I visited Ancestry’s Provo headquarters a few years ago. We meet at the Southern California Genealogical Society’s annual Jamborees as well as the annual IAJGS international Jewish genealogy conferences, where she is usually an Ancestry.com speaker. Northeast Region: Debra Braverman of New York, is a national speaker and forensic genealogist who regularly testifies as an expert witness. She is a JGS of New York member; we meet at the annual IAJGS conferences. International Regions: Michael Goldstein of Israel, traces roots worldwide, specializing in family reunification, heir searches and Holocaust research. Well-known to all genealogists in Israel, Michael wears several hats as president of the International Association of Jewish Genealogical Societies (IAJGS) and president of the Israel Genealogical Society. 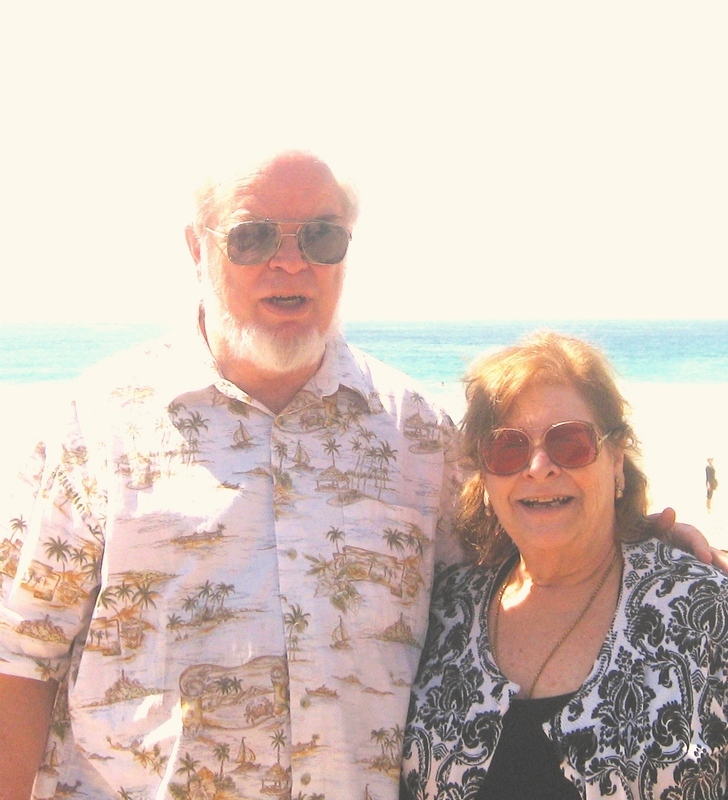 He speaks at Jewish genealogical societies in North America and at IAJGS conferences. The Association of Professional Genealogists, established in 1979, represents nearly 2,000 genealogists, librarians, writers, editors, historians, instructors, booksellers, publishers, and others involved in genealogy-related businesses. APG encourages genealogical excellence, ethical practice, mentoring, and education. The organization also supports the preservation and accessibility of records useful to the fields of genealogy, local, and social history. Its members represent all 50 states, Canada, and 30 other countries. Congratulations to everyone elected this year! The 16th British Conference on Judeo-Spanish Studies will take place July 13-15, 2010, at the University of London, UK. Held in collaboration with the Salti Center for Ladino Studies at Bar‐Ilan University, Israel, it is an international scholarly forum for university teachers and researchers preparing doctoral theses on Judeo-Spanish Studies. The Call for Papers is out now, and not more than 200-word abstracts are invited. Although the emphasis is on language and literature, papers on Sephardic-related topics are welcome. Click on the link above for all details and more information., such as the conference committee.